What Does It Mean to Get Fired? Getting fired means that an employer terminates employment against the will of the worker. There are numerous reasons why company managers fire their employees. However, most don’t need a valid reason to terminate employment. If one is not covered by a bargaining agreement or employment contract, the chances are that they are at-will employees. Employment at will gives a company owner the freedom to fire anytime and without notice. That said, most employers don’t fire individuals without valid reasons. In fact, the majority of firings are described as termination for cause, meaning that an employee loses his job because he’s at fault. Even though it seems like a no-brainer, an employee can lose his job because of stealing items, which he perceived to be of no use. Think no one will notice that the stack of printer paper that remains at the end of each week is missing? Or perhaps one of the workers keeps “losing” his mouse and needs constant replacement of the same. As minor as such transgressions may seem, they are serious offenses that can get an employee fired. If one accidentally takes company equipment to his home or other premises, he should return them the following day and report the matter to his manager. Unsatisfactory performance is the primary reason why most employees get fired. Such a reason encompasses a ton of other things that can cause an individual to lose his job. For example, if an employee is too sluggish, makes too many mistakes, fails to meet set standardsLabor Force KPIsHow can we monitor the labor force? Governments and economists usually refer to three main key performance indicators (KPIs) to gauge the strength of a, keeps asking too many questions, misses deadlines, and uses poor judgment, all will be classified under poor performance. It is no secret that work is stressful. It is one of those activities that can make climbing out of bed each morning very difficult. So, it’s understandable if an employee calls in sickHow to Write a Sick Day EmailA sick day email is required when an employee is feeling under the weather and is unable to come to work. The protocol is to call in sick, although sending an email is also an acceptable way to inform your manager or supervisor. or wants to take some time off. However, if one takes too many sick days or vacation days at the wrong times, it could get him fired. For example, if you keep asking for time off when the company is in the middle of a busy season, it reflects poorly on the employee’s dedication. Most people beef up their resumes and assume that once they’ve secured positions, what they did to get the jobs is no longer important. However, it is not the case. If the individual’s performance starts lagging, the HR departmentHuman Resource ManagementHuman Resource Management (HRM) is a collective term for all the formal systems created to help in managing employees and other stakeholders within a can decide to review the employee’s resumeResumeFollow industry guidelines & best practices when submitting your cover letter & resume to a corporate finance job. Download resumes and cover letter templates to be prepared for your job application. These resumes are designed to give you the best shot of being selected for an interview again. If the company manager is constantly dissatisfied with an employee’s performance and then he finds out that the worker lied in the application, he won’t hesitate to terminate the employment. Falsifying firm records is not only unethical, but it can also get an employee fired. Nothing gets a worker fired faster than using company equipment for personal business. For example, if an employee is caught playing games, checking out his Facebook friends or watching a movie, is very likely to get fired. Even if one gets some free time, he should spend it wisely engaging in meaningful activities such as helping his co-workers. Losing one’s job can be a real surprise. However, there are a few telltale signs that an employee is about to get axed. Instead of being given new tasks, the employee’s list of projects keeps decreasing. If an individual keeps getting passed over for new assignments even after expressing his concerns, the odds are that he’s about to lose his job. A negative assessment is not always synonymous with getting fired. However, if an employee keeps getting bad feedback from his boss, he might get fired eventually. Depending on how the first performance review goes, one can be given a second chance to make improvements. However, if he gets a series of critical performance assessments, it is a sign that he might lose his position. When an employee gets his first job, he is trained and thereafter, given tasks that he can accomplish with ease. However, if it gets to a point where the employee is given projects similar to climbing Mount Everest, then it’s likely that he’s being set up for failure. Sometimes, company owners lack the courage to fire employees, so they set them up for failure. In such a way, they’ll get solid evidence for firing the concerned employee. 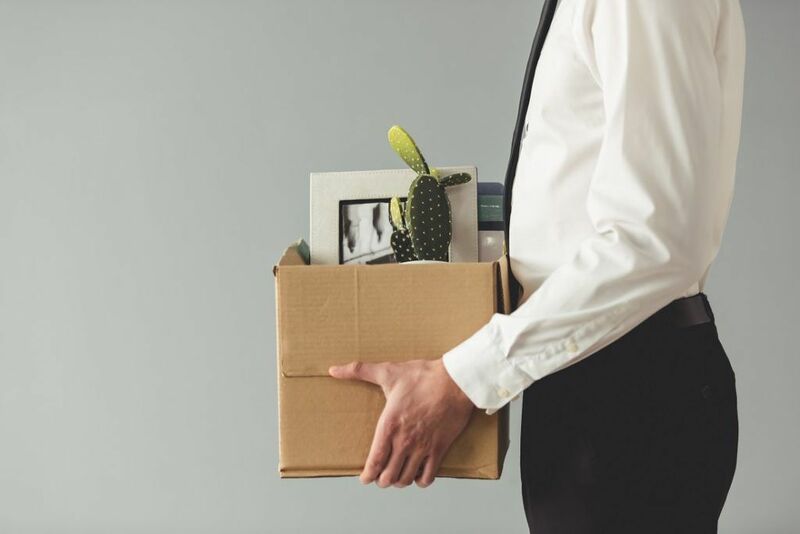 Getting fired means that an employee’s job is terminated for reasons such as poor work performance and unethical behavior such as stealing company equipment. However, an employer can fire workers without any valid reason, especially if they’re at-will employees. That said, there are some warning signs that show one is on the verge of getting fired. They include receiving negative feedback on performance, getting passed up on assignments, and being tasked with impossible projects. Key Performance Indicators (KPIs)Key Performance Indicators (KPIs)Key Performance Indicators (KPIs) are measures used to periodically track and evaluate the performance of a business or organization toward the achievement of specific goals. They are also used to gauge the overall performance of the company against other similar companies within the industry. Severance PaySeverance PaySeverance pay is a form of compensation that an employee receives when they are let go by a company. In other words, it is money or benefits that an employer pays an employee who loses their job through no fault of their own. It is frequently required by employment law.